Daniel L. Patterson, Esq., is an attorney with Littman Krooks LLP. His practice focuses on Estate Planning and Elder Law. Dan is licensed to practice in the Courts of the State of New York. Dan received his J.D. from Syracuse University College of Law, earning a certificate in Estate Planning in the process. While attending law school, Dan was a student attorney for Syracuse University College of Law’s Elder Law Clinic. He received his undergraduate degree from SUNY at Albany, where he majored in Political Science, with a concentration in American Politics. 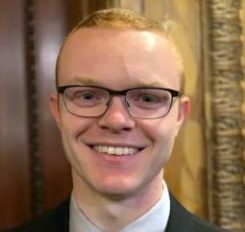 Dan is an active student member of the Estate and Gift Tax Committee of the New York City Bar Association. Outside of work, Dan enjoys reading and exploring.